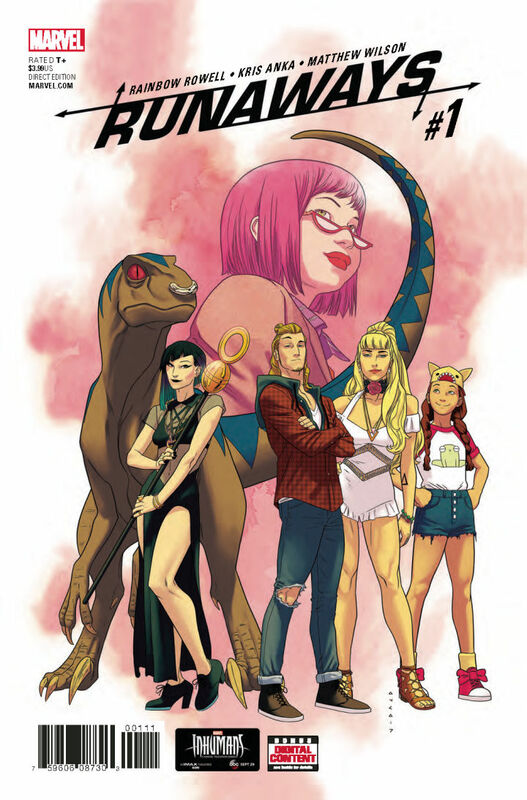 Runaways is a Marvel title about which I have heard a world of praise, and yet circumstance has resulted in me never actually reading the book myself. 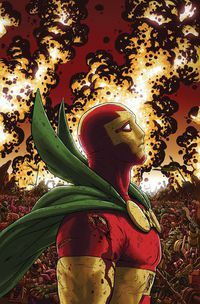 I figured I would correct that in a small part by sampling Marvel's new relaunch, which returns to a group of friends who bonded together when they discovered that their respective parents were all super-villains. 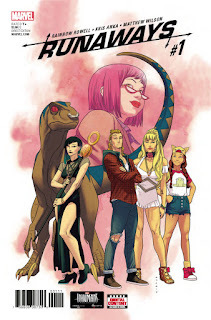 It's clear from the outset that this relaunch assumes prior knowledge of the characters, because while it explains the basics of the spell-caster Nico Minoru and the time-travelling Chase it never really pauses to properly re-introduce them. 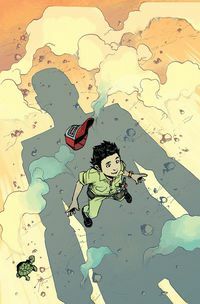 That put me at something of a disadvantage when reading issue #1: it tells a tense, very well written scene, but because I am not invested in its participants it does not have the intended effect. I suspect pre-existing fans will get a lot more value for money. 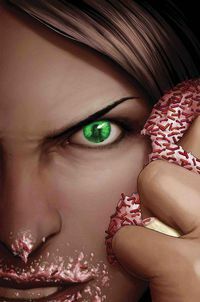 Runaways #1. Marvel. Written by Rainbow Rowell. Art by Kris Anka. Colours by Matthew Wilson. 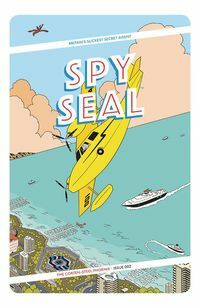 Under the cut: reviews of Hulk, Mech Cadet Yu, Mister Miracle and Spy Seal. Image. Story and art by Rich Tommaso.